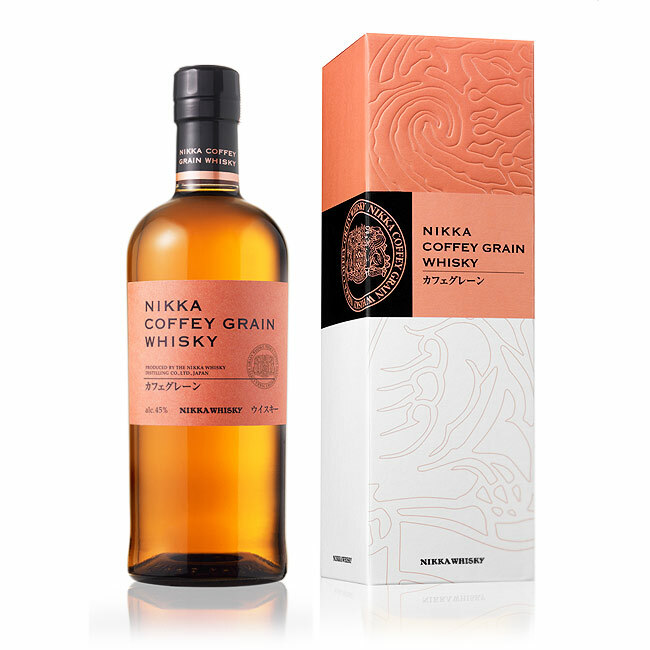 An essential component of Nikka Whisky’s blends, the Coffey Grain is a single grain whisky, distilled mainly from corn in a Coffey still located at the Miyagikyo distillery. Exotic, fruity and unique, it offers a new perspective on grain whisky. fresh and enticing, it reveals ripe pear, cherry and exotic fruit aromas. Citrus notes of blood orange and lemon appear, slowly giving way to more subtle floral scents. With air, aromas of pastry, coconut and bourbon vanilla emerge, with underlying notes of mint and a hint of musk. juicy and pleasant, the promises of the nose are kept. Intense ripe fruit with rum accents (banana) and caramel. The complexity develops with hints of liquorice and star anise. The mid-palate shows more fruit, dominated by pear nectar and quickly moving on to creamier notes with an omnipresent freshness. just as pleasant as on the palate with pear and vanilla bourbon, ending on a very nice light bitter touch. Straight, on the rocks, or cocktails.